To view the certification program outline for each instrument, please click on its corresponding logo below. Each instrument represented by The Myers-Briggs Company addresses one or more areas that impact individual, team and organizational performance. These may include leadership and coaching, team development, communication, conflict management, change management, career exploration, recruitment and selection and talent retention. There are two categories of our personality assessments: “Restricted” and “Non-Restricted”. Restricted instruments – you are required to complete a certification program before you can purchase and administer/use them. Non-Restricted instruments – you can begin purchasing and using them immediately. The Myers-Briggs Company certification programs have one thing in common: They help you become a better development professional and, in turn, help your employees flourish. If you are interested to find out more, join our monthly complimentary sharing session. Click here to find out more. The Myers-Briggs Type Indicator® (MBTI®) instrument is a highly versatile tool that has helped millions of people around the world gain a deeper understanding of themselves and how they interact with others. By becoming certified to administer and interpret the world’s most trusted personality tool—the Myers-Briggs Type Indicator® (MBTI®) assessment—you will not only enrich yourself but also enhance the performance of your people, teams and organization. Let us help you grow professionally so that you can help others be at their best. The MBTI® certification is internationally recognized and has no expiry date. Gain a better understanding of your and others’ personality preferences and how they affect personal and professional relationships. Human resource professionals, consultants, managers, leaders, facilitators, counsellors and psychologists in all types of organizations who wish to facilitate better understanding of personality type in the interests of improving individual and organizational effectiveness. 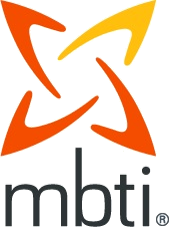 MBTI® Practitioners who have previously obtained Step I™ Certification can attend the fourth day to attain the Step II Certification and have access to MBTI® Step II™ Reports. For more than 50 years, the Fundamental Interpersonal Relations Orientation™ (FIRO®) approach has helped people understand their interpersonal needs and how those needs influence their communication styles and behaviour, and thereby improving their personal relationships and professional performance. Become a FIRO® Certified Practitioner and administer these leading instruments for developing high-functioning individuals and leaders within your organization. Human Resource professional, consultants, managers, leaders, consultants, psychologists and counsellors involved in mentoring, coaching and improving understanding of self and others, and team building and compatibility. FIRO® Practitioners who have previously attended 1 Day FIRO-B® Certification Program may attend the second day only to learn about FIRO-Business® assessments. The Strong Interest Inventory® is one of the most respected and widely used career planning instruments in the world. It guides individuals and students in their search for a rich and fulfilling career by revealing their interest patterns through a range of complementary scales. Career guidance counsellors & Career coaches, outplacement specialists, HR consultants and other professionals who facilitate, mentor or coach working adults and/or students on career exploration and career planning. The California Psychological Inventory™ (CPI™) instrument has provided a highly accurate and in-depth portrait not only of individuals’ professional and personal styles, but also of their potential. Built on the exceptional history, validity, and reliability, the CPI™ instruments are trusted and powerful tools for use in leadership development and selection, providing insights into individuals’ strength and development opportunities. Become a CPI™ Certified Practitioner and discover the most effective ways to use the CPI™ assessments to develop individuals, groups and organizations. Human Resource professionals, managers, consultants, headhunters, and psychologists involved in recruitment and selection, leadership training, personal development and coaching.